It’s been a long time between posts. The challenge of embarking on a studio collective has taken a lot of energy but worth it in so many ways and as it continues to flourish things become easier. Throughout all the work at Whau I have still been exploring my fascination with enamel and the celebration of beauty found in everyday places. The value seen in flaky urban surfaces along with the imperfect and impermanent images that I see daily. The work shown here is simple in form allowing the surface to produce a dialogue. Posted on April 16, 2015 by carolgreenie. The joy of pushing around tiny grains of glass. The beginnings of a surface inspired by daily finds. 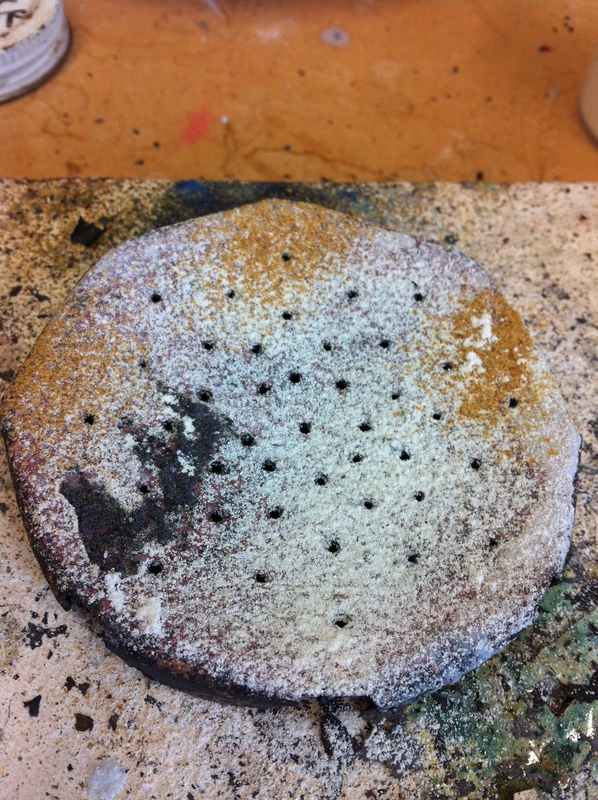 This is powdered enamel which will be purposely underfired.